Connectivity can be established by creating an IPSec, hardware VPN connection between the VPC and the remote network. 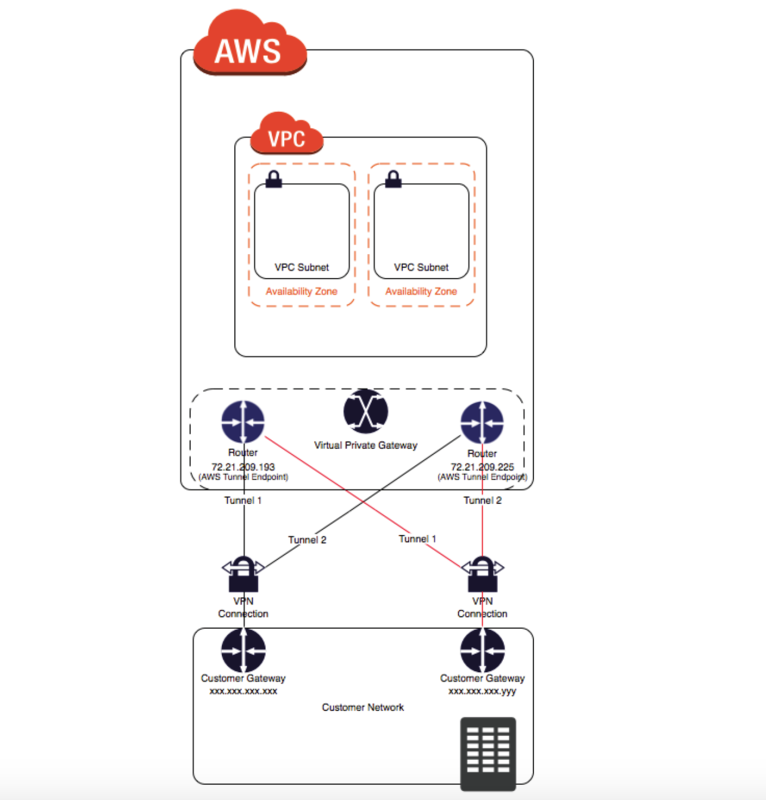 On the AWS side of the VPN connection, a Virtual Private Gateway (VGW) provides two VPN endpoints for automatic failover. AWS Direct Connect provides a dedicated private connection from a remote network to your VPC. A customer gateway is a physical device or software application on customer side of the VPN connection. When a VPN connection is created, the VPN tunnel comes up when traffic is generated from the remote side of the VPN connection. If the VPN connection experiences a period of idle time, usually 10 seconds, depending on the configuration, the tunnel may go down. To prevent this, a network monitoring tool to generate keepalive pings; for e.g. by using IP SLA. Routing must be setup so that any traffic from the VPC bound for the remote network is routed to the virtual private gateway. 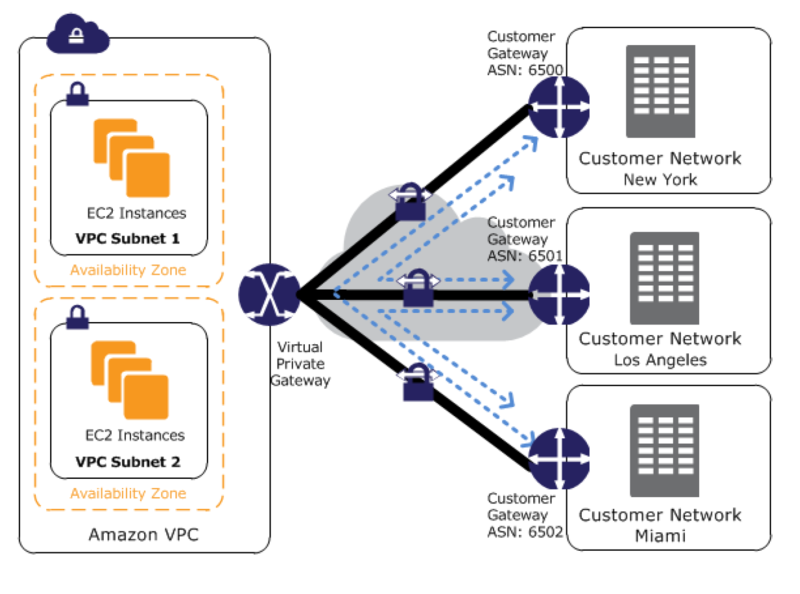 Multiple VPN connections to a single VPC can be created, and a second CGW can be configured to create a redundant connection to the same external location or to create VPN connections to multiple geographic locations. For a VPN connection, the route table for the subnets should be updated with the type of routing (static of dynamic) that you plan to use. Route tables determine where network traffic is directed. Traffic destined for the VPN connections must be routed to the virtual private gateway. Type of routing can depend on the make and model of your VPN devices. If your device does not support BGP, specify static routing. Using static routing, the routes (IP prefixes) can be specified that should be communicated to the virtual private gateway. Devices that don’t support BGP may also perform health checks to assist failover to the second tunnel when needed. If the VPN device supports Border Gateway Protocol (BGP), specify dynamic routing with the VPN connection. When using a BGP device, static routes need not be specified to the VPN connection because the device uses BGP for auto discovery and to advertise its routes to the virtual private gateway. BGP-capable devices are recommended as the BGP protocol offers robust liveness detection checks that can assist failover to the second VPN tunnel if the first tunnel goes down. Only IP prefixes known to the virtual private gateway, either through BGP advertisement or static route entry, can receive traffic from your VPC. Virtual private gateway does not route any other traffic destined outside of the advertised BGP, static route entries, or its attached VPC CIDR. A VPN connection is used to connect the customer network to a VPC. Each VPN connection has two tunnels to help ensure connectivity in case one of the VPN connections becomes unavailable, with each tunnel using a unique virtual private gateway public IP address. Both tunnels should be configured for redundancy. When one tunnel becomes unavailable, for e.g. down for maintenance, network traffic is automatically routed to the available tunnel for that specific VPN connection. To protect against a loss of connectivity in case the customer gateway becomes unavailable, a second VPN connection can be setup to the VPC and virtual private gateway by using a second customer gateway. Customer gateway IP address for the second VPN connection must be publicly accessible. By using redundant VPN connections and CGWs, maintenance on one of the customer gateways can be performed while traffic continues to flow over the second customer gateway’s VPN connection. Dynamically routed VPN connections using the Border Gateway Protocol (BGP) are recommended, if available, to exchange routing information between the customer gateways and the virtual private gateways. Statically routed VPN connections require static routes for the network to be entered on the customer gateway side. BGP-advertised and statically entered route information allow gateways on both sides to determine which tunnels are available and reroute traffic if a failure occurs. VPN CloudHub operates on a simple hub-and-spoke model that can be used with or without a VPC. traffic between remote sites being routed over their VPN connections. 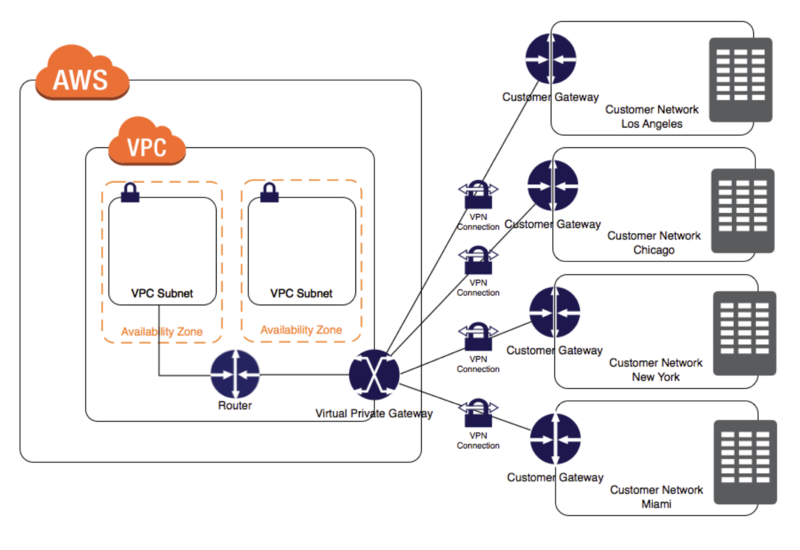 AWS VPN CloudHub requires a virtual private gateway with multiple customer gateways. Customer gateways advertise the appropriate routes (BGP prefixes) over their VPN connections. Routing advertisements are received and re-advertised to each BGP peer, enabling each site to send data to and receive data from the other sites. Routes for each spoke must have unique ASNs and the sites must not have overlapping IP ranges. Each site can also send and receive data from the VPC as if they were using a standard VPN connection. Sites that use AWS Direct Connect connections to the virtual private gateway can also be part of the AWS VPN CloudHub. multiple customer gateways can be created, each with the unique public IP address of the gateway and the ASN. a VPN connection can be created from each customer gateway to a common virtual private gateway. each VPN connection must advertise its specific BGP routes. This is done using the network statements in the VPN configuration files for the VPN connection. You have in total 5 offices, and the entire employee related information is stored under AWS VPC instances. Now all the offices want to connect the instances in VPC using VPN. Which of the below help you to implement this? You have to define 5 different static IP addresses in route table. You have in total 15 offices, and the entire employee related information is stored under AWS VPC instances. Now all the offices want to connect the instances in VPC using VPN. What problem do you see in this scenario? You have been asked to virtually extend two existing data centers into AWS to support a highly available application that depends on existing, on-premises resources located in multiple data centers and static content that is served from an Amazon Simple Storage Service (S3) bucket. Your design currently includes a dual-tunnel VPN connection between your CGW and VGW. Which component of your architecture represents a potential single point of failure that you should consider changing to make the solution more highly available? Add another VGW in a different Availability Zone and create another dual-tunnel VPN connection. Add a second VGW in a different Availability Zone, and a CGW in a different data center, and create another dual-tunnel. No changes are necessary: the network architecture is currently highly available. Could you please add tag “vpc” to this blog post so that folks reading posts tagged with “vpc” (as I’m doing right now) will find this? 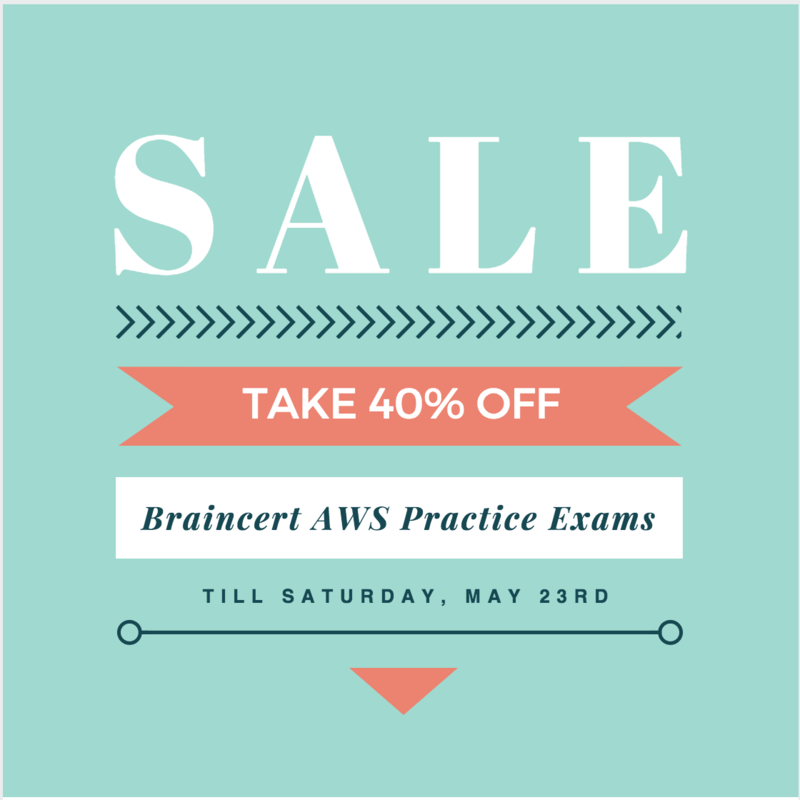 I’m going through the topics you posted on http://jayendrapatil.com/aws-certification-exams-sample-questions/ . Is “VPN” topic important for SA Associate exam? If yes, please add “VPN” in the topics list. Many thanks to you for sharing your learnings. Thanks for the feedback Satish, have added the tags. Let me know if anything else i can do to make the articles more searchable. Also VPN is covered a bit in the SA Associate exam, and can come up in various forms with the questions for e.g. with Direct Connect, AD Directory services with On Premises AD, features the IPSec tunnel provides etc. This blog seems to be good tutorial even tech architectures are developed more cool. pass from the monitoring instance to the application instance and nothing else” If so how? I am in a confusion to choose the answer between C and C. Could you pls help me ? #B, they need not be in the same security group. #D, as a security group is stateful you just need outbound in monitoring and inbound in monitored instance. First, I really like to appreciate you ,as your blog is too good and having all required information . My concern is Question 6 , you ans is correct but explaination seems wrong. Thats right, only one virtual private gateway can be attached to a VPC at a time. Thanks David, have corrected the same. There is a soft limit of 10, its a problem that can be worked around, but it is a problem. The question asks What problems do you see and by identifying this problem you do display a knowledge of the soft limit. Can some one explain in more detail why not identifying this problem and choosing None of the above would be more correct. Thanks Noel .. Happy to Help … Cheers …. for Q2, its mostly not a problem as it is just a Soft limit and can be easily extended. So none of the issues are actually show stopper. I don’t fully agree or understand the Q2 solution, and I’m not disagreeing for the sake of disagreeing, if someone can help explain where my thought process is wrong, it would be very much appreciated and I’m happy to stand corrected. I have seen other split discussions on this question, but would like to get the correct way of thinking on it. Your right to say the soft limit is not a show stopper, its not. But it is a problem, small as it may be, and identifying it as a problem does display knowledge of Amazons soft limits on VPNs and it looks that from the required number of VPNs that the question is testing the examinees knowledge of soft limits. 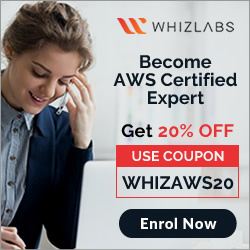 In AWS certification exams, is it a given that exceeding soft limits are not seen as implementation issues and can be ignored? What I’m asking here is there more exam questions out there where exceeding soft limits is not a problem? I couldn’t find your Answer. you bold the only d.1 and 2. Kindly confirm me the answer. c.You have to define 5 different static IP addresses in route table. Here 1 & 2 are actually a and b. The numbering is actually a,b,c,d,e should be actually 1,2,3,4,5.